Yep, I know. Just the title can seem like ok…weird…but what if it’s true? Just by one simple thing to try and experiment weather by simply drinking this amazing tea every day for a month will get your body prepared to fight the big spring tick attacks. Can it be true? I for one am willing to try! Lyme’s disease is more rapid now than AIDS. That one statement alone freaked me out! I love this article which I hope you will read. There is loads of info on the benefits of this tea. Yep… a simple way to start helping your body fight off ticks as well as loads of other health benefits as you read the article. If you suffer from chronic health issues especially Lyme’s, again this tea can help you find healing. This tea can also be given to my dog. I give him 3 tbsp. a day in his dish and to my horse in their feed. I started out with one cup for each horse. They loved the smell and drank it up. Will it work? Well, time will soon tell as we still have 12′ of snow on the ground, but why not? It helps clean out other toxins in the body so I am beginning it now. And the fact that it can help my animals…well…DAH…I am going for it! If it isn’t a risk to your health and could actually improve your health I also believe it is worth the effort. Some of us may have hidden issues we don’t know or are experiencing some chronic pain. 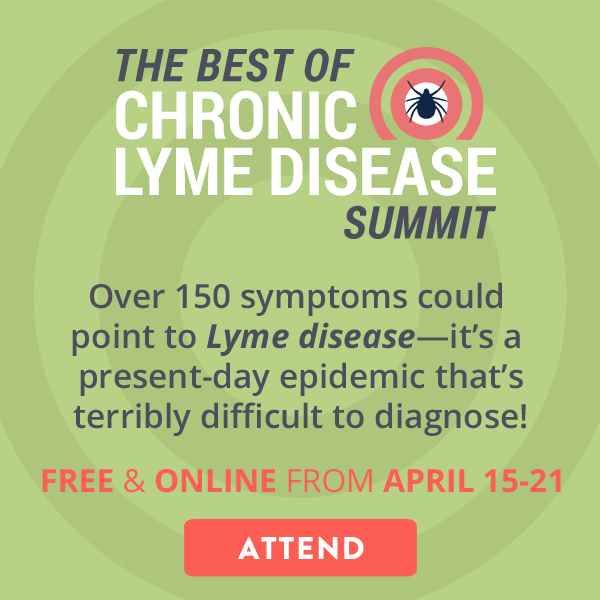 Some of you may even have been diagnosed with Lyme’s. By just drinking 3 cups or more of tea a day could help you with your battle. I think it’s worth the try! No claims here…I am trying it myself. We’ll see and hope it works! Please let me know if you tried the tea. I would love to hear your results and remember it could help someone else who is fighting a chronic illness or for us who want to prevent getting Lymes. So pass the info along! Below is a FREE online event to get more info! ANOTHER worth your time effort!